• A molar pregnancy is a rare condition where abnormal placenta-like tissue grows within the uterus. In most cases, no fetus is present. 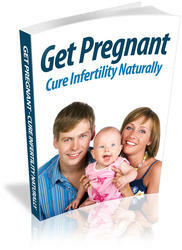 • Symptoms of molar pregnancy include vaginal bleeding and the belly growing faster than expected. • The cause of molar pregnancy is not completely understood; however, women younger than 20 or older than 40 appear to be at increased risk. • Molar pregnancy is diagnosed based on a combination of your symptoms, pelvic examination, blood hormone levels, and pelvic ultrasound.